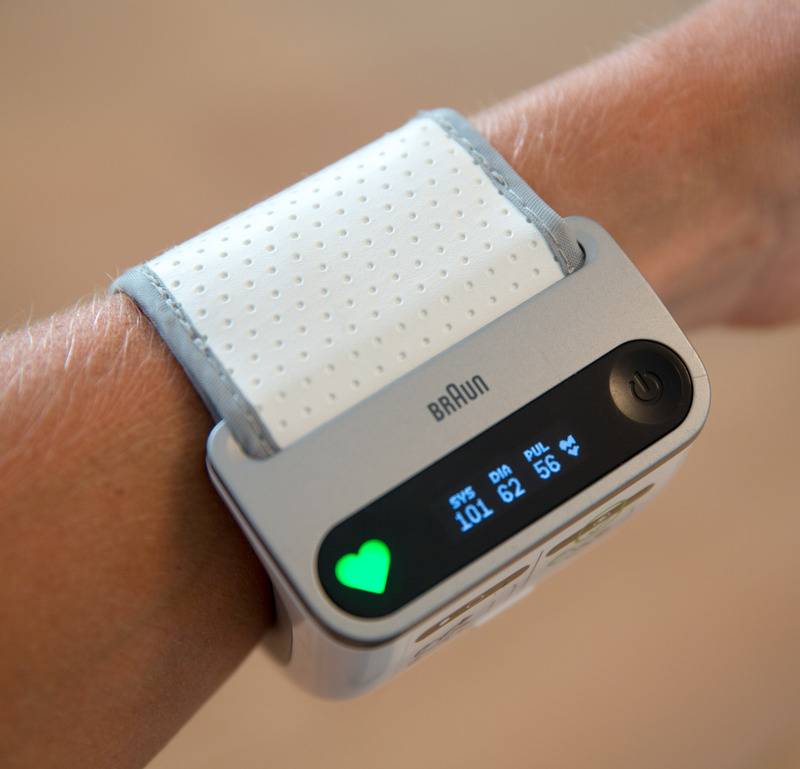 A representative from Braun Healthcare asked me the following: Hi Allan, do you want to try out the newest blood pressure monitor from Braun? My answer: No, why should I want to have a blood pressure monitor? Braun rep: well, you are an athlete, you track so many factors of your health, don’t you think your heart health is also important? That question left me thinking. While I do get my blood pressure checked regularly it is only when renewing my work-related health certificate, which is once every other year. A lot of things might happen within the span of two years. In my eyes, a blood pressure monitor was a tool for the old, sick or obese people with heart issues or high risk of getting one. While doing a bit of research on my own, I found that while being active is statistically very good for your heart and general health, which is rather common knowledge, at the same time high blood pressure among athletes gives significantly reduced performance and might give a left ventricular hypertrophy, aka thicker than normal heart muscle, which increases the risk of heart failure. Another useful information athletes can get from measuring blood pressure is if the hydration is sufficient. When you get dehydrated in means that the blood thickens which makes your heart work with a higher heart rate and lower blood pressure. Maybe tracking my blood pressure on a more regular basis could be of great help to me after all. Knowing from experience as a time-crunched professional athlete with part-time work and family commitments, measurements have to be very easy if it is going to happen. I previously did measurements, which “only” took 5 min each morning. That’s easy if you don’t have a toddler eager to start the day very early jumping up and down in your bed. The Braun iCheck®️ 7 could not be easier. For a more detailed analysis of your blood pressure data, you can download the Braun Healthy Heart app on your phone, make a profile and pair it with the iCheck®️ 7. It can be done in less than 5 minutes. Then you put it around the wrist and press start. Through a very easy and intuitive system, the device guides you to position your arm correctly at heart level, for the most accurate measurement. 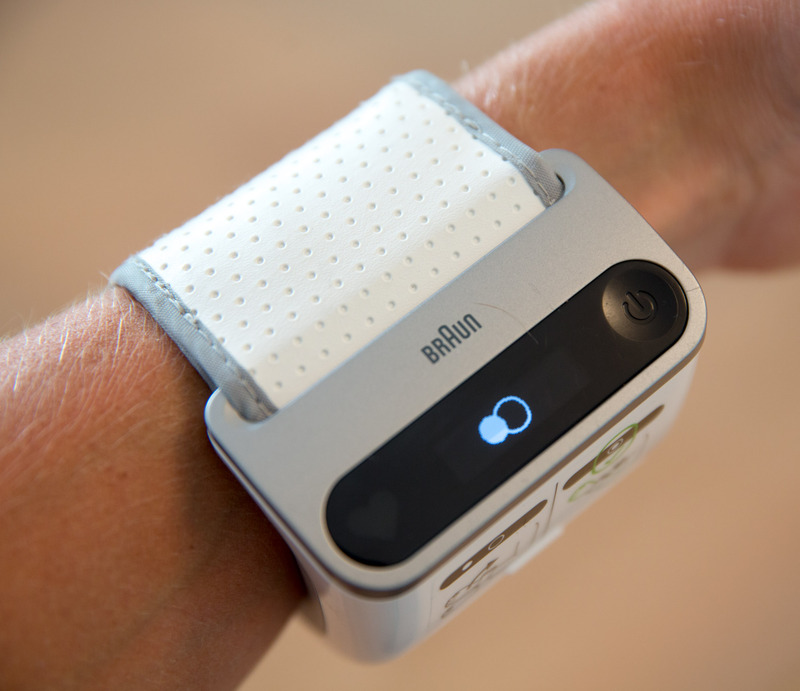 When the wrist cuff stops inflating you can read the result in the display. It is also instantly interpreted through a little coloured heart, so you will know immediately if your blood pressure is normal (green heart), or if you have mild (yellow heart), moderate (orange heart) or severe hypertension (red heart). The entire process takes 40 – 50 seconds and the results get automatically synced to your phone and can be analyzed on the app. In the app you can also input other lifestyle factors like your sleep, diet, exercise, mood, and in time, you can see how they may influence your blood pressure. In my view, that is doable for everyone. When measuring blood pressure it is important that the measuring device is aligned with your heart. When starting the iCheck®️ ensures that this is the case with a solid dot that has to get inside the circle when the hight is correct. Green is good! If too high the heart colour turns orange or red. I have been tracking my blood pressure nearly daily for 6 weeks now and can conclude that it looks good. Averaging 119/69 and 45 BPM in the mornings and 110/61 and 48 BPM in the evening. While being very stable I had a few days with low blood pressure and high heart rate, especially when training hard late in the evening. The gives me the indication that I could improve my hydration after those sessions, which preferably should be done mostly with food containing a lot of water like fruits or vegetables. 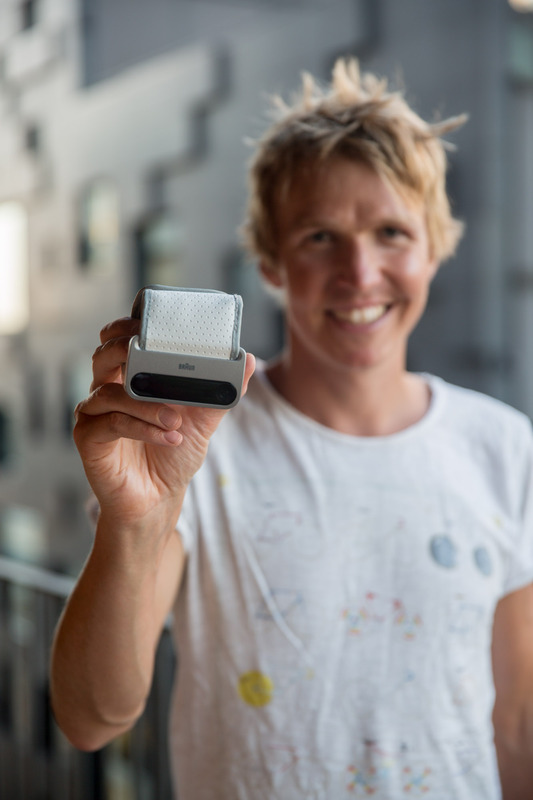 While using the Braun iCheck®️ 7 will not change my training regime or revolutionize my performance, I will continue to use it regularly to ensure that I take care of my heart’s longtime health and hydrate sufficiently. 3-Braun health app doesn’t load, it keep saying not available in your country. Cmon im in UK where I should be in Mars to be able to download it??? 5-There is no simple way to be able to connect the icheck7 to the phone. 6-The graph shown very simple, there is no average reading,. No average for morning reading, no average for night reading or any selected days. Very premitive. 5 years school can do better job than this. I would recommend you to get in touch with Braun support on Facebook. I had absolutely no problem downloading the app, sync it to my Iphone. Regarding the average readings, I do get 7, 14 and 30 days average (go to calender) and average for morning and night. And yes, this was written in cooperation with Braun as said below the headline.